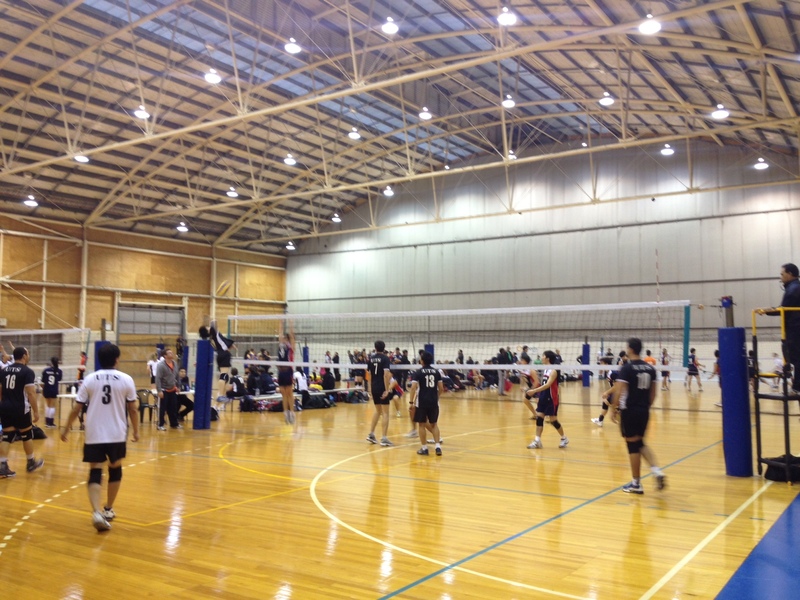 Week 2 of SVL was held on 23 June – a cold and rainy day outside…but inside the Homebush Sports Halls, the volleyball warmed our hearts. In Game 2, the whites came up against the defensive specialists Eagles. As an intimidatory move, the Eagles brought out their coach – Korean volleyball legend “Mr Cho” – to start the game. After banging some meter balls in warm up, Mr Cho came out in the first set all guns blazing. Unfortunately for him though, most guns were blazing directly into the big blocks of Alex, James, Kiel and controversial new recruit, Nathan “Joe’s favourite” Lovett. Overall, the form of the whites was patchy, at times struggling to put the ball away against the gritty defence of the Eagles. Mix that with enough service errors to keep a statistician occupied for hours and the whites found themselves dropping a set. This caused coach Morky to threaten to strangle each of his players if they didn’t start playing better, before kicking a bucket full of substitution paddles and storming out of the gym, never to return… Either that, or he left for no apparent reason and was replaced in the coaches corner by a bald flamingo… Whichever, the white team came away with a 3-1 win. Womens Div1 (from Gabes) – UTS div 1 black win again Sydney North in 4 sets!! After a 9am duty in the freezing cold UTS hit the court to take on Sydney North. It was a slow start by both teams (and even the scorer) as after the first 6 points the score sheet was completely messed up. The beginning of the set was point for point however we managed to break the lead. Sydney North caught up but with some strong and consistent hitting from Steffi, we ended up finishing off the set. The second set was won by Sydney North. At one point during the set we had the lead however an injury timeout was called and we managed to find ourselves trying to fight back, which was too late in the end. Going into the 3rd set we needed to make sure that we stayed warm and that our bench were ready to play. With way to many missed serves (from both teams) we managed to play some good defence and get our middles involved. Our captain Clara played very consistently both in back and front court contributing to us taking out the set. The 4th and final set saw us down after a good run of serves by Sydney North. Deb called a time out to put the server off and from then on we managed to not only fight back but win the set convincingly. Any defensive touch on the ball we managed to turn into kills! Overall it was a great game however I definitely believe that we could have won in 3 sets if Claire Walker was not hungover, actually made it to the game and didn’t use the excuse that ‘her parents were at church so they could give her a lift’. The Div.2 girls were on fire on the weekend! Even with an injured libero, they managed to beat the Eagles in 3 sets! The team worked like a well oiled machine and encouraged each other after every point. Swapping setters, with new setter Verena, was a good option for some more practice and created some great points for the game! Coach, Facebook Queen; Deb with the assistance of Jess, gave great pointers during the game which motivated all players to get every ball and try different things in the game to throw the over team, to keep them playing our game. Coaches in the second and third sets to focus on the setters getting it to the middles more often so use those sting hitters which benefited the team. Claire managed to stay out of the splits, there were no more further injuries, Gaby didn’t say something stupid and Claudia spoke mainly english, you could say it was a great game for all involved! With both of our 2 setters Michael and Aaron out with similar shoulder injuries, we had Nam Pham stand-in as guest setter again. Lucas Giminez returned from his business trip to re-join our team and was a welcome addition, providing some real fire-power at the net. Luca (our Italian Import) again was ruthless as our key middle and dominant throughout the game. Andy played another solid game from outside, whilst Willis showed us how versatile he can be as Universal and was able to put away a lot of balls from position 2, and/or act as setter when needed. Tony played a great game as libero and delivered some solid passing again. Special thanks to Aaron who although injured, still joined the team as sideline coach and offered some great advice to the team. Another good victory, and a great start to SVL so far for the team. Result: UTS Div 1 Men White defeated Eagles 1, Set Scores: 25:18, 25:11, 21:25, 25:13. SVNSW has entered a one year partnership with UTS and Sydney University, for the preparation and delivery of a men’s and a women’s team and hosting of NSW rounds. 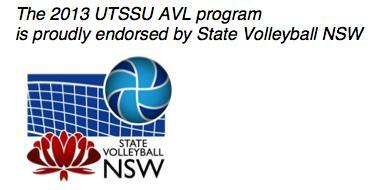 The teams will compete in the 2013 Australian Volleyball League under the banner UTSSU. SVNSW and UTSSU are pleased to announce the upcoming trials for interested players wishing to compete in the 2013 AVL Season. Trials are open to all registered members of SVNSW Affiliates who would like to compete in the highest level domestic league within Australia. • Trial 1: Saturday 29th June 5:30 – 7:30pm at Sydney Olympic Park Sports Halls. • Trial 2: Monday 1st July 7-9pm at Trinity Grammar School, Summer Hill. • Trial 3: Saturday 20th July 2-5pm at Sydney Boys High, Moore Park. The Men’s squad will be trialling from 2-3:30pm followed by the Women’s squad trialling from 3:30-5pm. Players are encouraged to attend all trials. If there are any issues/difficulties or you cannot attend trials please contact the respective coach. • Men’s program Head coach – Mark Munter. Email: mark@bmsurveys.com.au Phone: 0403007593. • Women’s program Head coach – Nam Pham. Email: n.pham@ssc.nsw.edu.au Phone: 0411279709. Each home and away round will require each team to play 1 game each day. Players are expected to be available for these dates, if there are any issues/difficulties please notify coaches of availability as soon as possible. • Round 1 AWAY: 5-6 October. UTSSU v VVA. • Round 2 TBC: 12-13 October TBC. UTSSU v AIS. This round is likely to move around mid-late September due to AIS national program commitments. (BYE for the women’s squad). • Round 3 HOME: 19-20 October. UTSSU v Canberra Heat. This match will likely be hosted at either UTS gymnasium, Ultimo or possibly Sydney Uni Sports and Aquatic Centre, Darlington. • Round 4 HOME: 26-27 October. 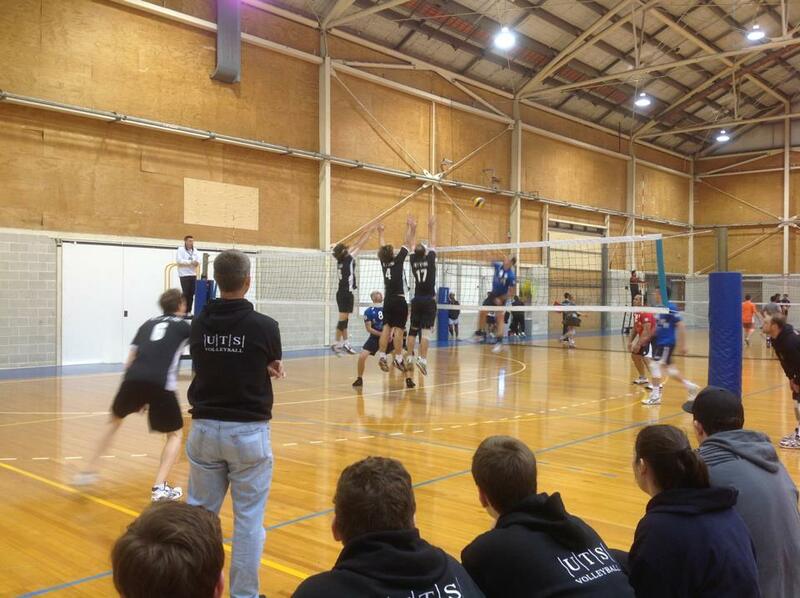 UTSSU v South Australia. This match will be held at UTS gymnasium, Ultimo. • Round 5 AWAY: 2-3 November. UTSSU v Queensland. • Round 6 HOME: 9-10 November. UTSSU v Western Australia. This match will be held at UTS gymnasium, Ultimo. • Round 7 AWAY: 16-17 November. UTSSU v Uni Blues. • Finals: 7-8 December for the Top 4 teams. It will cost $200 up front per player (non refundable) to be part of the squad. Upon selection this will entitle the player to attend trainings, receive a UTSSU hoody and also a UTSSU uniform to keep. Players selected in travelling rounds will pay approximately $200-$250 for flights and accommodation (TBC). We strongly encourage all selected players to approach clubs, councils and educational institutions in order to supplement costs from grants or subsidies. Prospective players please take all of this information into consideration in order to determine your availability and commitment to the program. Yes SVL 2013 is now upon us. Week one, 16th June. All UTS teams were in action. First game of the SVL season saw the whites take on the Hills Dragons, who have added a smattering of youthful exuberance to their traditionally ‘experienced’ team. Not sure quite what to expect, the whites played rather tentative volleyball on the most part, with only patches of consistently strong play. Strong serving from Keil “convert” Briggs dug the team out of a couple of holes at crucial times in the match. Keith “if I abuse the ref and give him the death-stare he’ll surely change his mind” Suckling set a record for the earliest yellow card in an SVL season, receiving one midway through the first set. He then proceeded to show off his best State of Origin shoulder charge on a Dragon that strayed under the net (albeit off the court). The ref wasn’t impressed and happily gave the Dragons the point. In the end, the team managed to grind out a 3-1 victory to get their SVL campaign underway in a positive fashion, but with a few areas to work on at training in the weeks ahead. UTS began their first SVL game with a few too many nerves, a little bit of confusion, and lack of sleep for some (not to mention names….Cat). We couldn’t get much right for the first set and ended up going down fairly convincingly. Coach Deb got our spirits up for the second set and we went back to basics, focusing on getting a good pass up and playing defence how we had practiced. Even though it was a close set, we managed to hold on to our lead and take out the second set. Unfortunately we were back on the ‘unlucky’ side of the court again so we were in for another tough set. By this stage our passing was getting steadily better, we had some great defence from Gemma, and were getting some great runs through the middle from Birg and Cat. Tough serving and hits from Claire in opposite were also keeping us in the game, but once again, we went down again in a very close set. We were now pumped up for a tough five setter and went in to win it. Due to some great passing from back court, Joey was able to use many of her hitting options and set some great balls. Gabes was hitting great from back court and Steffi was unstoppable from the outside. We unfortunately had a bit of a choke towards the end of the set and let Manly back in. Thankfully Clara did not choke under the pressure and got the final two serves in, with the team closing out the final points of the set. Set number five! We luckily started on the side that was favourable to both teams and managed to get the lead. We only had a 2 buffer at the half way mark so had to play smart and keep the pressure on the experienced team. Fortunately Manly had a bit of trouble with their hitting, so we gained a 3 point lead. Steffi was still hitting well and Manly was struggling to defend her, so we tried to close out the final few points with some big hits. This did not go plan and we lost our lead and were back to being tied. After some great scrambling and some miss-hits, we finally managed to close out the set and take out the game. Great way to start the season! After a very rigorous and tiring pre-season training program, we were fully prepared for our first game of SVL. With our new and improved lineup, youth mixed with experience, we managed a comfortable win against Eagles 2. Our new Italian import Luca was unstoppable through the middle, and our 2 Outsides, Riu and Andy were in great form all game. Tony played solid as our Uni, whilst Aaron played a great libero game in backcourt. Our youngest player, Willis had a brilliant debut game and showed he could play several positions. Special thanks to our guest setter, Nam Pham for filling in for us, as Michael is out with a shoulder injury. We look forward to another great season in SVL and thank the UTS Club for including us again. You are currently browsing the UTSVC blog archives for June, 2013.